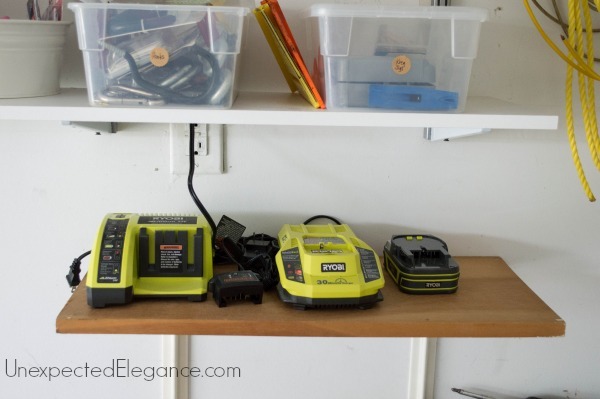 It seems like I’ve talked about my garage a lot lately, but as the keeper of everything that is really not worthy to go into the house, the garage can be one of the messiest places in your home. Most of the time it’s viewed as nothing more than a storage area and a place for your car to live. 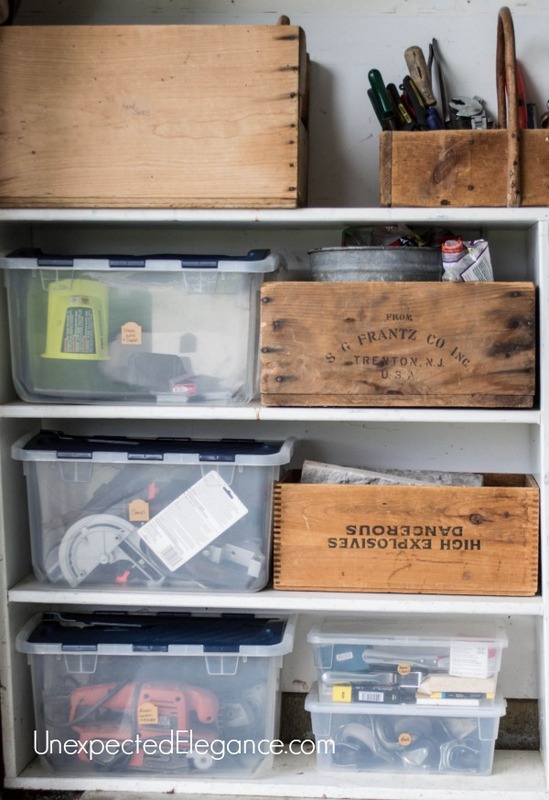 If you’re like most people, your garage is probably a jumble of tools, old toys, sporting equipment, and just plain trash. My parents were here a few months ago and we look EVERYTHING off the jumbled shelves and spread it out on the garage floor. We made piles of like items, then I put everything back in ORGANIZED containers. It has stayed this way since we sorted and it’s SO much easier to put things where they belong now that they have a designated home. Once everything has a place it’s SO much easier to maintain! 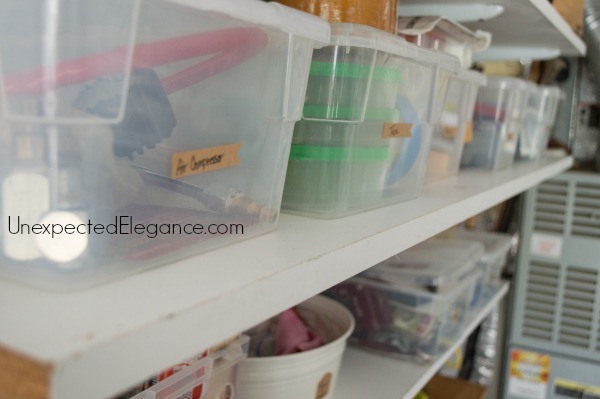 It’s helpful to label these areas so that when you do a 15-minute decluttering, you know where everything goes. When you are working on anything in the garage, it’s best to move your car(s) out. It’s easier to clean up without having to work around your vehicle. 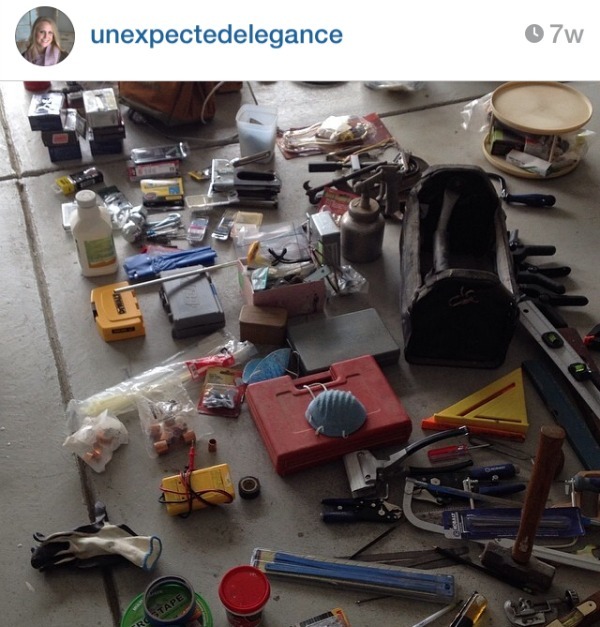 Tackle the big items first: bicycles, sporting good equipment, yard tools, etc. Put them where they belong. If something needs to be tossed out, make a pile then take it all out to the trash. If something needs to be repaired, affix a tag or piece of tape on it indicating such and take care of it later. 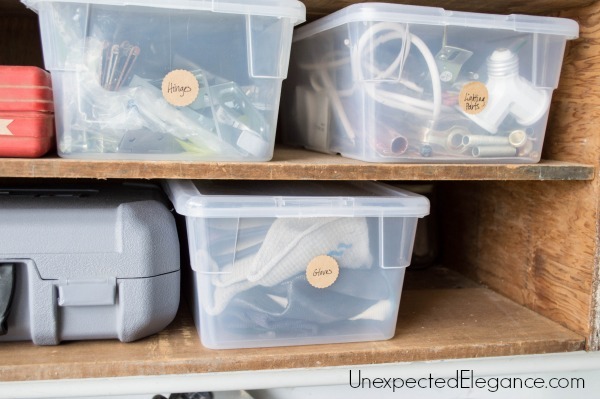 With the big items cleaned up, you’ll want to start on smaller items. Tools are a problem in and of themselves. If you have a lot (like me! ), the only way to declutter them is to either put them in their place on the wall, designated shelf or hide them in a box. This is a touchy area and is probably best accomplished by the person in the household who uses those items the most. I’m the one who uses the tools so I HAD to be the one to organize them. 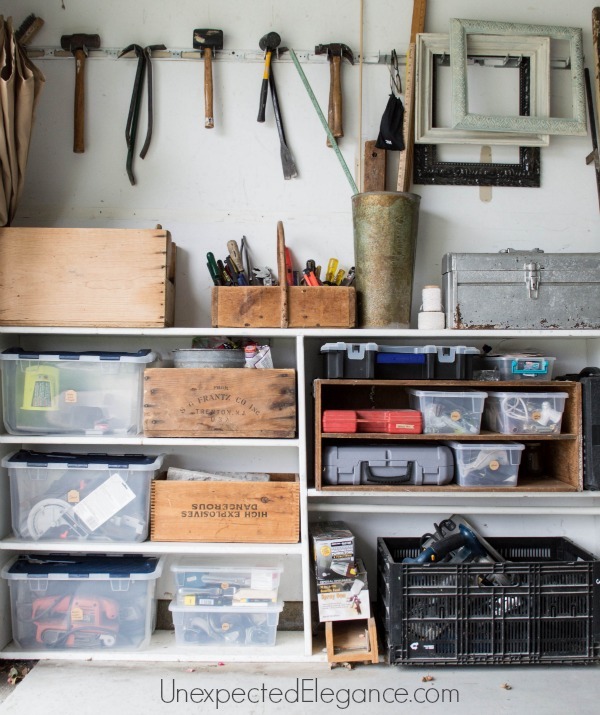 Cabinets are ideal in a garage because they are a good place to store anything hazardous. It’s best if the cabinet is either under lock and key or on a high shelf that it cannot be reached by small children. 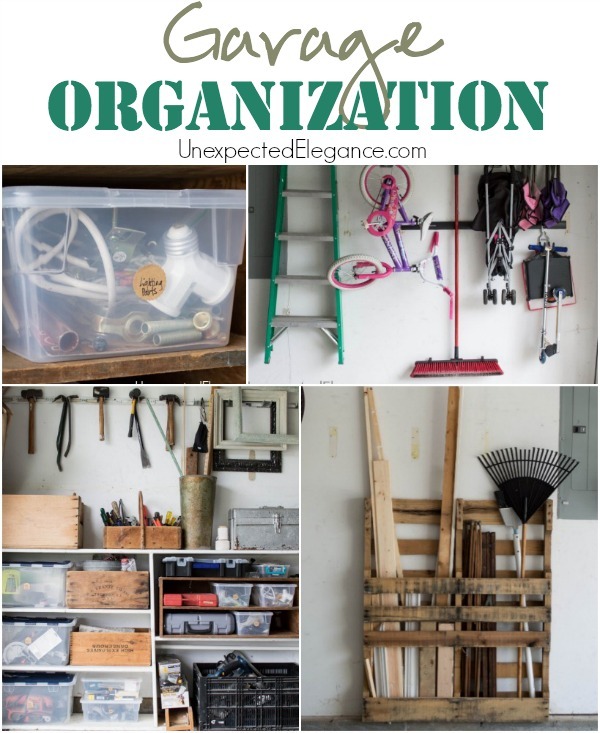 I will say that having my garage organized has alleviated some of the “household stress”. It’s so nice to pull into a nicely organized garage because it’s the first thing you see before you enter the house. 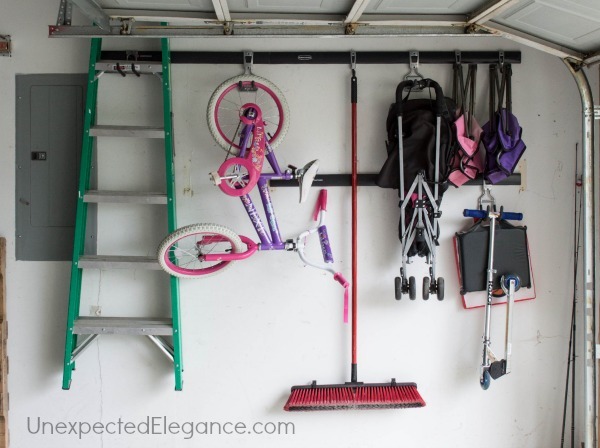 For other garage organization tips, check out these posts: HERE, HERE and HERE. 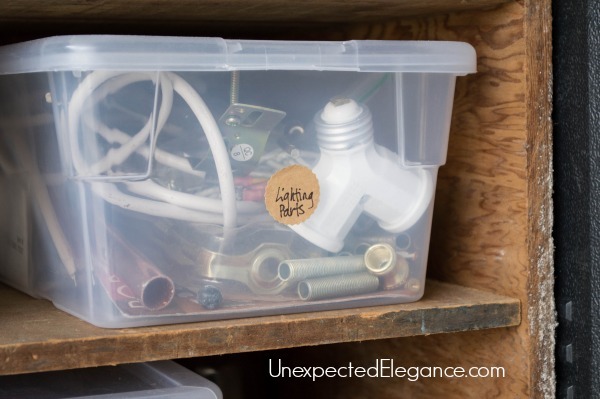 I’m pretty much excited to apply these cool tips for my garage makeover project. And also I’ve been thinking of having an epoxy flooring because it’s most what home and business owners here in St. Louis, MO opt for their garage floors. They are all satisfied with it. So yeah, i’m excited to start. Anyway, thanks for sharing!